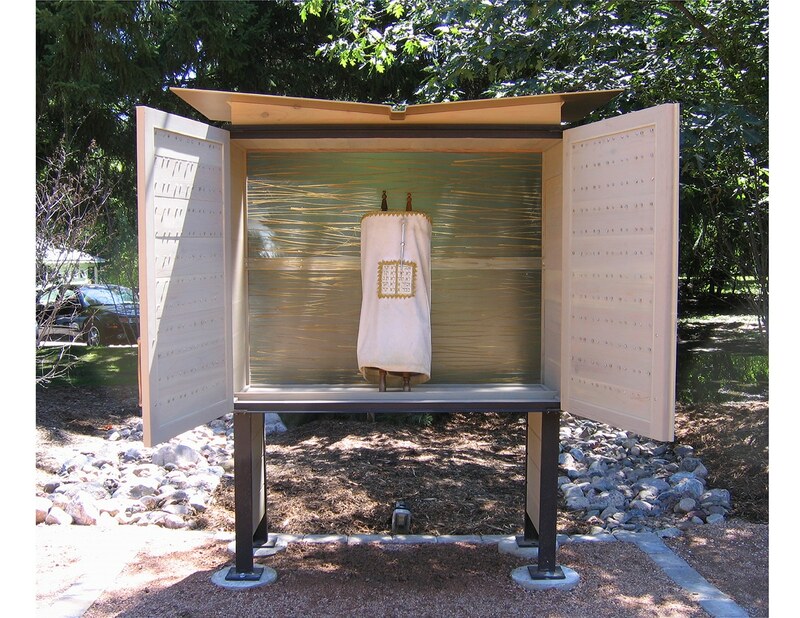 Commissioned for a new outdoor chapel at an overnight camp, this ark celebrates its relation to the natural elements. Shimmering metal leaves on the ark doors catch the light at different times of day, acknowledging the passage of time. They are loosely attached to the ark doors with pins, moving gently with the breeze, like leaves on a tree. 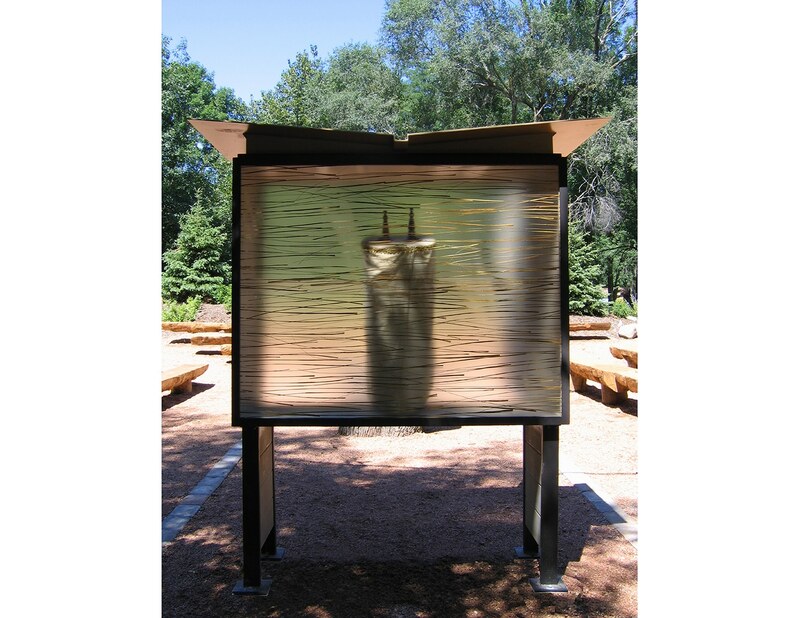 The translucent back panel of the ark allows shadows of surrounding trees to read through, as well as capturing the rising sun during morning services. The channel defining the center of the ark’s winged roof is sloped toward the overhang at the back of the ark, forming a dramatic spout creating a waterfall when it rains. The form of the roof echoes the protective wings of the cherubim described in biblical passages as outspread, hovering above the ark proper.